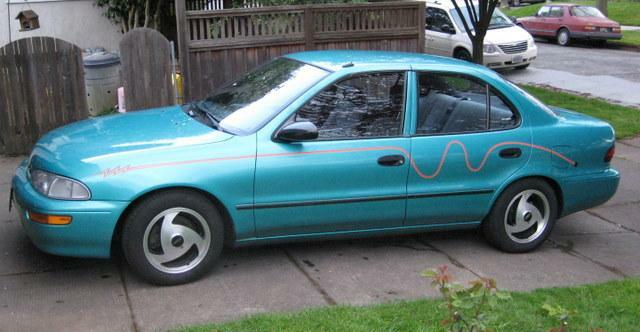 1993 Geo Prizm. The color is greener than the pictures show. It's a hard color to catch.